Over the years, the Museum of Richmond has had the pleasure of exploring the vast and varied history of the borough whose natural beauty inspired writers and artists alike, as well as attracted royalty and the aristocracy. To reflect this rich and fascinating history, the Museum has had exhibitions devoted to the famous historical artistic and literary figures that found a home here. 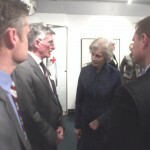 Additionally, a number of exhibitions have focused on the borough’s exciting political history, being a major home of the monarchy and elite of society for many years. Richmond’s role as the home of many major beneficiaries of the slave trade made it a popular location for abolitionist efforts, as well as the site of the Britain’s first Poppy Factory and numerous Suffragette campaigns. In this exhibition visitors discovered more about the prehistory of the local area through the archaeological finds on display. What do archaeologists do and what stories do these objects tell? This exhibition had something for all ages with great objects and insight for interested adults alongside fun family friendly interactives, which were designed by our Youth Panel! This exhibition is generously supported by the John & Ruth Howard Charitable Trust. Richmond is an affluent area, but there have always been pockets of poverty. This exhibition was about the poor and how they lived. It will looked at the workhouses, almshouses and individuals who worked to alleviate the suffering of the poor and the charities which continue to offer support today. The exhibition was be based upon a new publication from Richmond Local History Society and was funded by the Richmond Parish Lands Charity, the Richmond Charities, the Barnes Workhouse Fund and generous individual donors. The subject of this exhibition is arguably the most historic street in Richmond; Old Palace Lane. Its varied history can almost be viewed as a history of Richmond in microcosm. Its story goes back to the medieval period, when a crane wharf was first installed where the lane meets the Thames. Since then, many different developments have occurred on the lane in terms of its industry, infrastructure and social changes. This exhibition told the story of the local institution which over the last 100 years has pioneered the way we care for our retired servicemen and competitive sport for disabled people. 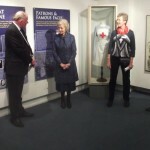 The exhibition was formally opened by HRH Princess Alexandra, patron of both the Museum and the Royal Star & Garter Home. ‘Capability 300’ is a celebration of the life and works of landscape gardening legend Lancelot ‘Capability’ Brown. It features original plans, prints, art and photography that portray his work and influences. The exhibition forms part of a national celebration of the 300th birthday of Brown; it comes to us as a touring exhibition from Orleans House Gallery. This exhibition features prints from the collection of renowned local historian John Cloake (1924-2014). This beautiful collection comes to us from Orleans House gallery. Cloake began to amass a collection of Richmond prints when he moved to the borough in 1963. Initially he set out on a journey to discover the origins of his home on Richmond Hill, purchasing prints to accompany the major discoveries he made. From there, Cloake became involved in the writing of many local histories, the formation of the town’s Local History Society, and the initiation of the Museum of Richmond; a true champion for local studies in the borough. 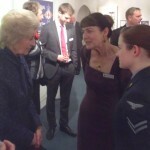 To mark the 75th Anniversary of the Battle of Britain, the museum collaborated with the Richmond Local History Society on an exhibition that looked at Richmond’s experience of the Second World War. This exhibition focused on the effects of the Blitz, rationing, civil defence and many other aspects of every day life during wartime. Drawing on archival research performed by volunteers, this exhibition explored the impact of the First World War on the lives of Richmond residents, including the arrival of refugees from Europe and the restrictions placed on everyday life. Supported by the Heritage Lottery Fund, this exhibition provided an opportunity for visitors from Richmond and beyond to learn more about the part played by the town during the Great War. This exhibition drew on local and national collections, complementing recent research into the lives of explorers George Vancouver and Sir Richard Burton. Additionally, the exhibition examined the life of naval commander Rear Admiral Henry Lidgbird Ball. These three men were all buried in the Borough of Richmond, and are a testament to the town’s relationship to the increased understanding of faraway lands being promoted across Europe.